This DVD is hysterical and so entertaining. 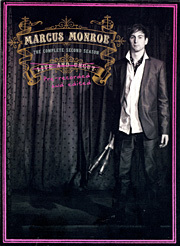 I have seen several of Marcus’ shows and there was so many new things I had never seen before. I can not wait for the third season. Great stuff, thank you for a carrying this Dube’!